Macomb County Executive Mark A. Hackel today announced the appointment of Vicky Rad as the director of the Macomb County Department of Planning and Economic Development (MCPED). Rad, who previously served as deputy director of MCPED, replaces John Paul Rea, who was appointed deputy county executive in January. "Vicky is highly recognized and regarded statewide as an innovative leader for planning and economic development," said Hackel. "Her outreach and passion for making Macomb County a welcoming place for business is a tremendous asset for the department and for the county as a whole." Rad has a bachelor's degree in computer information systems from Baker College, a Master of Science in administration with a concentration in leadership from Central Michigan University and a master's certificate in government contracting administration from George Washington University. She currently serves as chair for the Michigan Automotive and Defense Cyber Awareness Team (MADCAT) and is the immediate past president of the Michigan Chapter of Women in Defense.  Rad is also involved in the program council for Leadership Macomb, the membership committee for Michigan Economic Developers Association and is a board member for Advance Michigan. For a high-res headshot of Vicky Rad, click here.